The Entree application is installed in a classic Team Site. Such a site is provisioned by Microsoft with three groups: Owners, Contributors and Readers. Within SharePoint users can be added through various ways. Individual users can be added through the Setting > Site Settings > Site Permissions or even easier by selecting Settings > Shared with.. In the context menu that appears you can click advanced which will bring you to the exact same page as when you follow the path through site settings. In general all users of Entree should be added to the Contributor group to make full use of all features. More specifically to be able add and remove items from the SharePoint lists that are provisioned with Entree. AppHub This list stores all local organization links as they appear in the Hub. AppHubPersonal This list stores all favorites, also called personal links, as they appear in the Hub. On this list the users can only see and edit their own items by default. PersonalSettings This list stores personal preferences of the user. On this list the users can only see and edit their own items by default. Alerts In this list Alerts can be listed with a Title, short body and expiry date. An attachment can also be added. These alerts will appear on the homepage of Entree. Depending on expiry date two upcoming alerts can appear. Use a modern (news) page if you have a longer articly which you wish to publish. CompanyCalender In this list company events or memorable dates can be stored. The next two upcoming events will appear on the homepage of Entree. Tips Used to present Tip of the day on the homepage. Tips have a title, short body and expiry date. An attachment can also be added. The next two scheduled tips appear on the homepage of Entree. Feedback The feedback list is used to collect feedback given on entries in the Hub. This feedback is intended for the user that is listed as owner or admin of the link in the Hub. Entree is provisioned with the following lists which drive widgets on the homepage and the contents of the hub. The management of permissions is standard SharePoint functionality. Permissions are inherited from the site collection level through the provisioned groups of owners, contributors and readers. 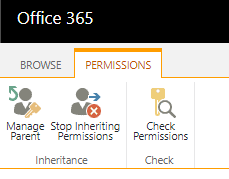 If unique permissions are need then the inheritance of permission should be broken and unique permissions given at the list level. You can go to the settings of list by going to Settings > Site contents > Select the three dots next to the list and select settings. In the settings select 'Permissions for this list'. Select 'Stop Inheriting Permissions'. All of the inherited groups now get check boxes in front of them. Select the Contributor group. The button 'Remove User Permissions' lights up. Select this button to remove the group. Then open the group Readers. Select New > Add users. Invite 'Everyone except external users'. Leave the body empty. Open the options and deselect 'Send invitation' (just to be sure). Now you have removed the general access that everybody had for reading and writing. The you added everyone to the readers group for this list specifically. 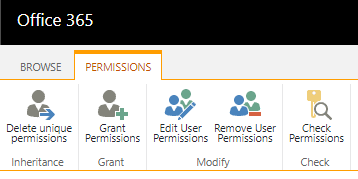 Please proceed to add individual user by selecting Grant Permissions. Fill in the names or e-mail addresses of the people you wish to give permissions. Select them one by one from the user dropdown. Use the body to give an introductory text. Open the options and leave the 'Send invitation' checkbox on. From the dropdown you can select a specific permissions level. Select 'Contribute' permissions to allow users to add and remove items from the list.